When it comes to free-to-play mobile games, there is really one runaway king of the hill, and it probably isn't the game you would think of. 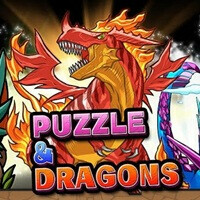 It isn't Candy Crush Saga or Clash of Clans, but rather it is Puzzle & Dragons (PAD). The game is a phenomenon, and it has reached another milestone in North America, hitting 4 million downloads just 6 weeks after it passed 3 million downloads. If you haven't played Puzzle & Dragons, it is something of a hybrid of Pokemon collection game, a dungeon crawler, and a color matching game (e.g. Bejeweled, Candy Crush, et al). The twist in the matching side of things is that unlike most games in the genre, PAD allows you to move one tile anywhere you want and shift others along the way, which changes how you plan your moves. On the monster collection side, you can collect as you go through dungeons, you can get them through daily random monster egg drops, or you can purchase "Magic Stones" which will get you more rare monsters. Magic Stones can also be used to regain your stamina and allow you to keep fighting. You can see where those last two can quickly change the free-to-play into pay-to-win. It is possible to grind and build up your team naturally, but obviously you need a lot of patience. Many players simply don't have that patience, because at the end of March, PAD was pulling in an average revenue per user (ARPU) of $11.89 (per SuperData). For comparison, that is more than the next 9 games combined. Number 2 on the list is Big Fish Casino, which has an ARPU of $2.07. Most of the revenue from Puzzle & Dragon comes from Japan, but as there are more players in North America, the revenue for this region will undoubtedly be on the rise.